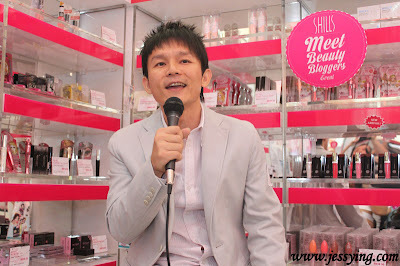 Ms Eva, Shills Makeup and Skincare Artist introduced some of Shills best sellers products and did a demo as well. Eva did a demo on this mid-aged lady to show the different after applying the Shills DNA Bio-Active Stem Cell Combat Series. This essence from Shills DNA Bio-Active Stem Cell Combat Series has unique Apple stem cell extracts and Shills’ revolutionary DNA whitening essence, this twin skin technology promises to slow down the ageing process for fairer, younger looking skin. It promises to improve skin texture, reduce appearance of fine lines while enhancing skin elasticity. 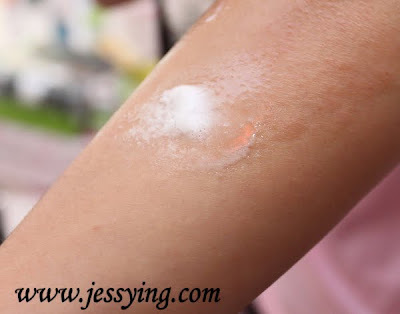 It also said to maintain long-lasting skin hydrating level on our skin while correcting dull complexion of skin and give our skin pure white luminosity. And what is interesting about this essence is that Eva has done some experiment on apple and showed it to us! Eva said, imagine the apple surface is our skin. The right side of the apple has been applied with Shills DNA Bio-Active Stem Cell Combat essence 2 days ago and it still appears fresh and not oxide compare to the left side. All of us was like WOW...serious ?? Shills revolutionary anti-ageing skin cream with apple stem cells to help delay the natural signs of aging by maintaining the longevity and activity of stem cells in the skin. Added Q10 improves skin vitality, reduces stress from environmental stimuli, for increased skin suppleness and anti ageing effects. Shills Bio-Active Skin Vivo BB Dewy Cream corrects skin tone, protects skin and creates soft-focus base make-up that lasts long. It also delays skin aging. 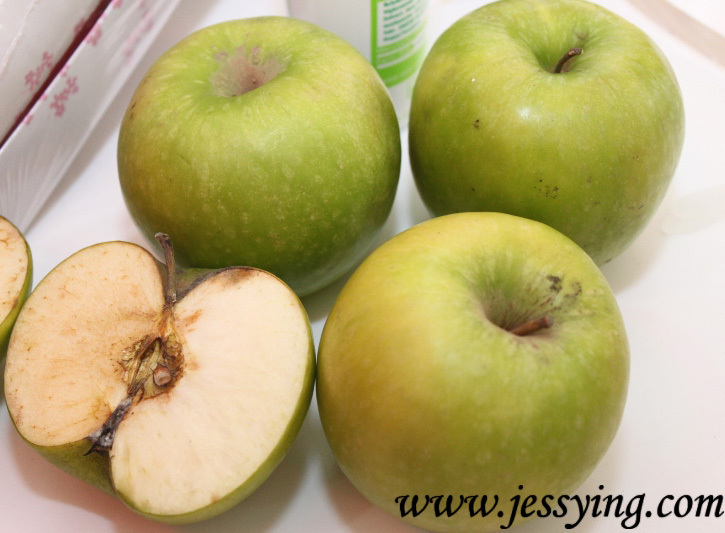 Not very obvious difference from the picture, however Eva did a moisture test before and after the demo and there is an increase of moisture level after applying the products. 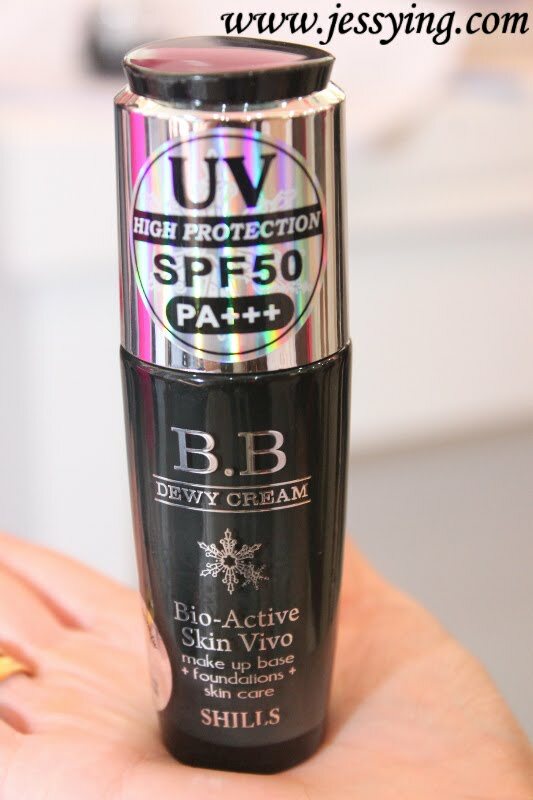 And I could see that Shills Bio-Active Skin Vivo BB Dewy Cream give her a sheer coverage on her face. Apart from the demo, Eva recommended a few others best sellers products in Shills too and I will giving some brief introduction! An ultra-effective dual performance treatment to reduce the appearance of stubborn cellulite and visibly refine orange-peel skin in just one gesture. Red crystals filled with slimming Nano ingredients speedily penetrate deep skin layers to fight stubborn cellulites to regain a perfect curve! Formulated with pure Evening Primrose Oil, Borage oil, Raspberry & Strawberry plant extracts for skin tightening effects. Translucent refreshing gel texture, with a pleasant and fresh strawberry aroma. 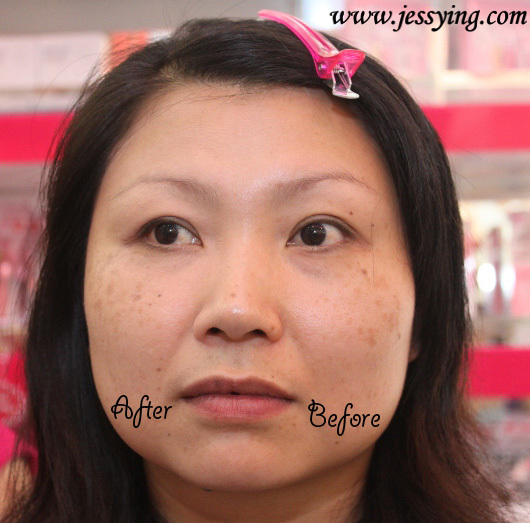 Stage 1: Skin tightening, active formulation penetrates deep into skin to tighten and shape loosening skin. Stage 2: Carnitine penetrates deep into skin layers to improve blood circulation and slowly breaks down fatty deposits. Stage 3: Natural oils and plant extracts smooth and moisturizes skin. Shills -5'C Ice Whitening Skin Renewal Spray which can immediately decrease skin's temperature and tighten pores. I tried it and it is freezing !!!! I think this must be a must travel item to hot country, can immediately gives a sense of cooling and relief rashes! Itis of a ultra-soft body moisturizing bubble mousse that effectively removes dead skin cells and dull looking skin. A 1- 3 minutes quick clean regime, using massage motion, dissolve old skin cells and surface them for easy removal. 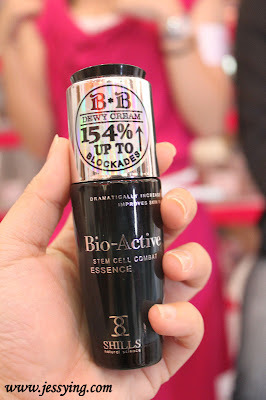 It also adds whitening ingredients, to further enhance the brightening effect on skin. 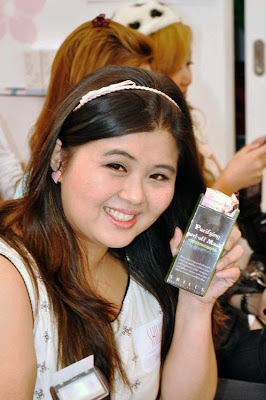 It promotes clear skin, refined skin texture, smooth skin just like a newborn. Recommended to use on underarms, elbows, knee and heel. 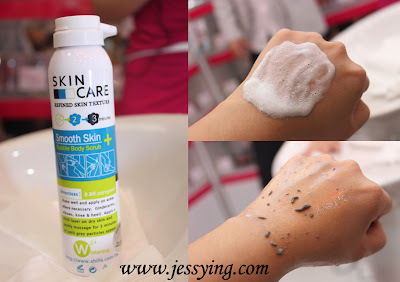 My skin immediately feel smoother after using it! I love this probably because it showed me all the dirt and gave me a sense of satisfaction that I'm clean and a sense of cooling after using it ! And now my boy is addicted to this! Juli & Me who are paying attention at the workshop did end up winning some prize from the quiz ! 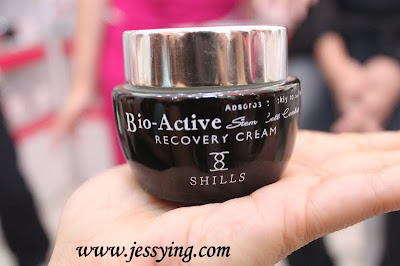 Woots, here is my prize - Shills Purifying Peel-Off Mask! 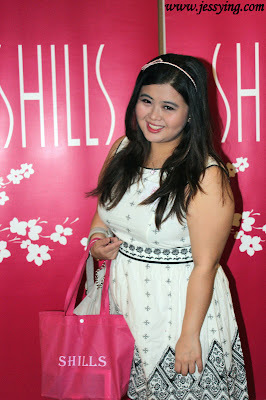 And this are the bunch of beautiful bloggers who attended the events ! Thanks Shills for organizing this, because before this I barely know much about their brands and now I have better idea what to buy to try... Haha ! So is there anything from Shills that you would like to try or like me to review? That face has got no much difference but I do like their Essence, I want to be like the apples! What a fun event! Thanks for sharing. 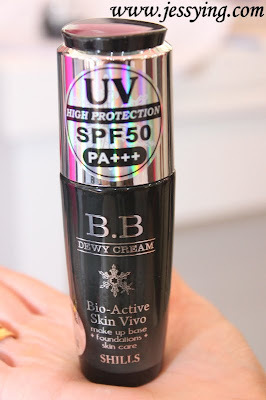 Could you do a Shills BB Cream review?